Today at the launch event in New Delhi, Chinese Tech giant LeEco has unwrapped two new smartphones in Indian market. 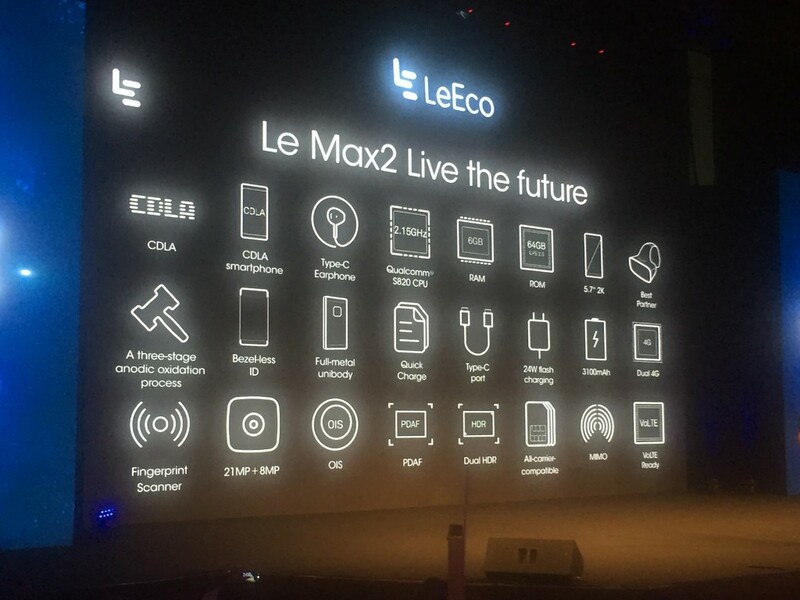 It has launched the Le 2 budget smartphone and Le Max 2, which is LeEco’s flagship handset. Both the smartphones were unveiled earlier in China and are successors of previously released phones. 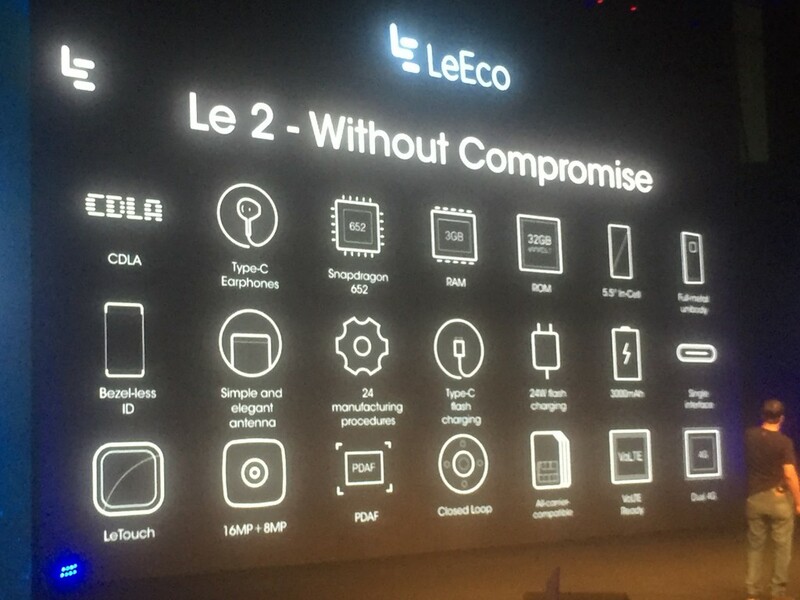 LeEco Le 2 is the successor of Le 1S and Le Max 2 is the successor of Le Max, both the predecessors were launched in India last year. LeEco is giving free one year LeEco membership, which costs Rs. 490/ month or Rs. 4,900/ year. 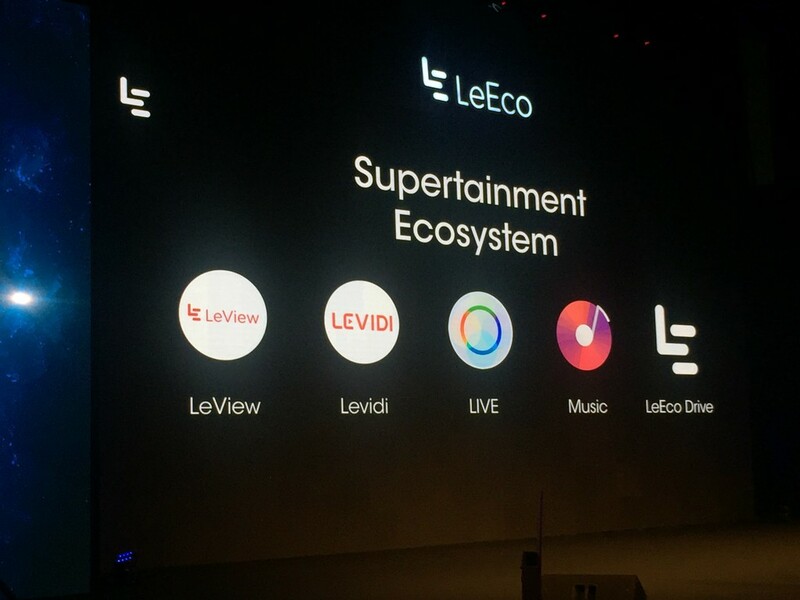 This membership allows you to access Le Vidi, Le Live, Le Music and LeEco drive for free. Le 2, Le Max 2 and Le 2 Pro were the world’s first smartphones to ditch the 3.5mm headphone jack and replace it with a USB Type-C port. 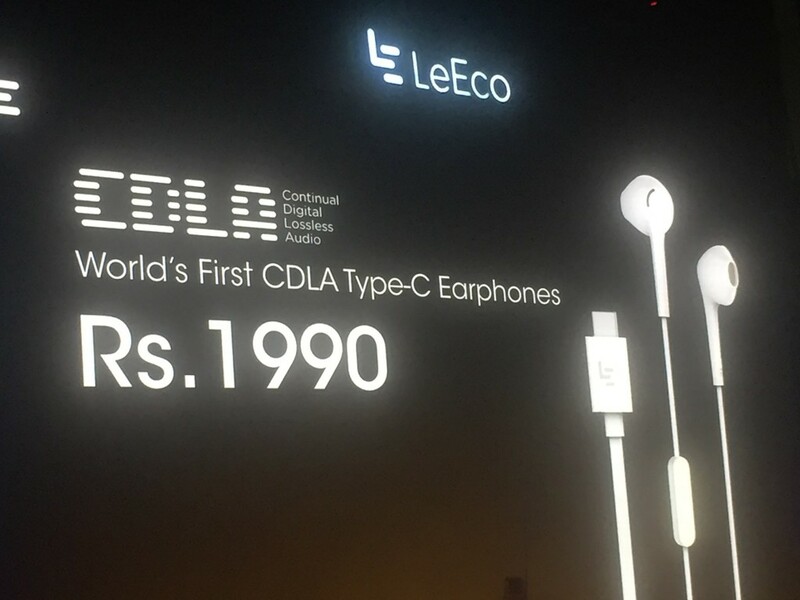 LeEco also showcased the CDLA (continual digital lossless audio) standard it had developed, which produces high quality sound through the USB Type-C. LeEco has also launched the Le Headphones today; it is priced at Rs. 1,990. LeEco Le 2 comes with a 5.5 inches FHD (1920 x 1080p) display. It has an 1.8 GHz octa-core processor powered by Qualcomm Snapdragon chipset under the hood and comes with 3GB RAM and 32GB of internal storage. On the camera front, LeEco Le 2 has a 16 MP rear camera and an 8 MP front camera for selfies. It runs on Android 6.0 and all of this is backed by a 3000 mAh battery with fast charging. The Le Max 2 has a 5.7-inch QHD bezel-less ‘Super Retina’ display and 64-bit quad-core Qualcomm Snapdragon 820 processor. It comes with 4 GB RAM and 6 GB RAM variants with 32GB/64GB storage options. On the camera front, it has a 21 MP rear camera and an 8 MP front camera. It is backed by a 3100mAh battery with ‘dual-fast charging’, and supports 4G LTE in India, apart from VoLTE support. It comes with a newly introduced Sense ID 3D fingerprint technology, which recognizes fingerprints even if you have sweaty fingers. The Le 2 has been priced at INR 11,999, while the Le Max 2 has been priced at INR 22,999 for the 4GB of RAM/ 32GB storage variant, and INR 29,999 for the 6GB RAM/ 64GB storage variant. 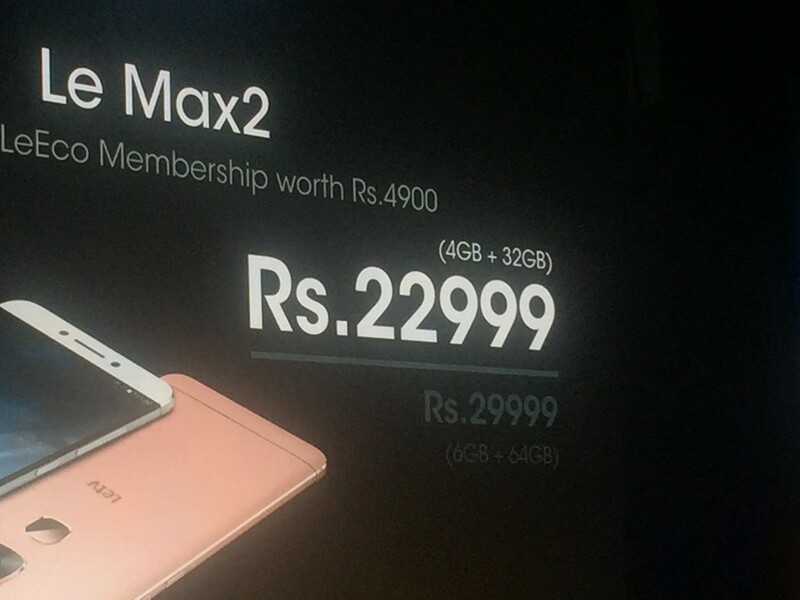 Company has not given any particular date for Le 2’s availability but the Le Max 2 will be available on Flipkart and LeMall.com/in. 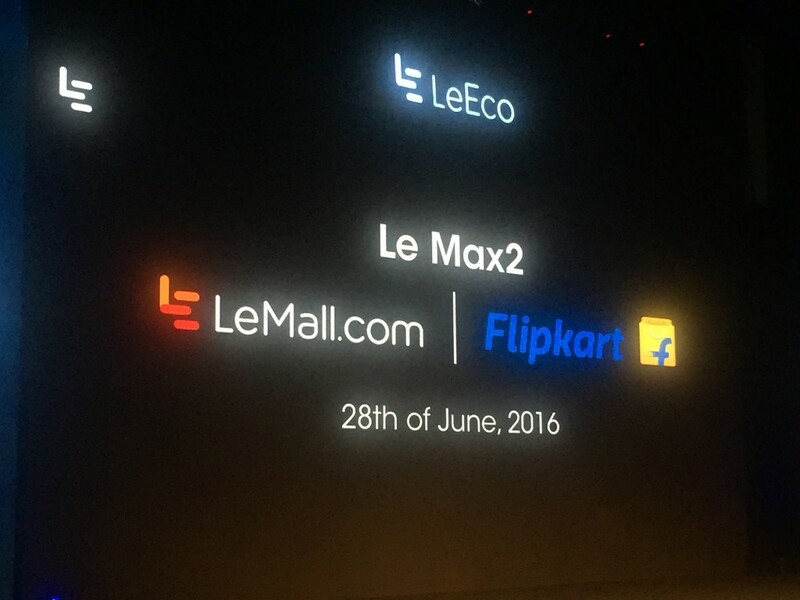 First flash sale for Le Max 2 is on 28th June and registrations begin from 20th June.